With the announcement of Android Wear 2.0, Google has finally taken the next big step towards smartwatch revolution. The major talking point about Android Wear 2.0 is Android Pay. Yes, the NFC-based payment system finally debuted on smartwatches with the latest OS version. 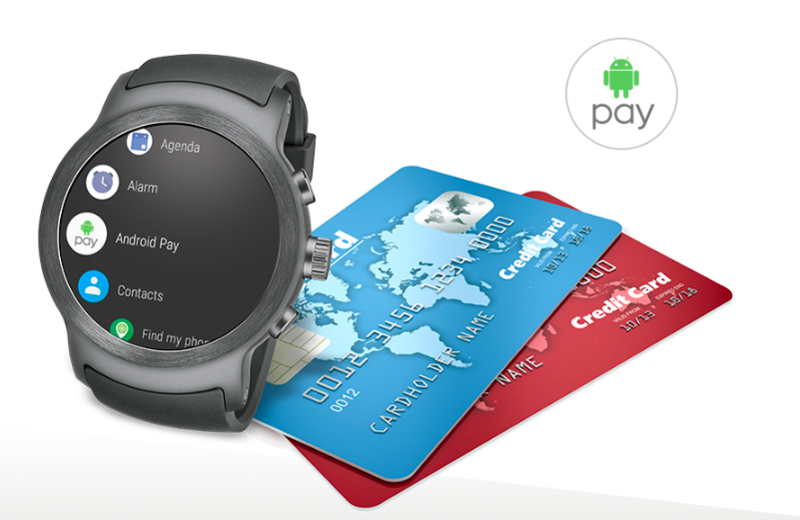 Being an NFC-based system, Android Pay would require your smartwatch to have NFC chip. For now, LG’s new watch – LG Watch Sport is the only wearable that comes integrated with NFC, but that shall soon be picked up by other manufacturers, and the upcoming smartwatches would most likely feature NFC. First off, Android Pay is an easy-to-use feature; you just need to get two things right – Bluetooth connectivity between your smartphone & smartwatch and Android Pay app on your smartphone (updated with all the credit/debit card details). After you check all the pre-requisites, open Android Pay app on your smartwatch and tap on “add card” to choose a card from previously loaded cards. If you want to add a new card, then you will have to pick up your phone and verify details. Whenever you are at a payment counter, simply open the Android Pay app on your smartwatch by pressing the button at the bottom edge that launches the app right away. Now, from the app, choose the card you want to pay with and place the top edge of your smartwatch in front of the payment terminal. There will be a vibration on your smartwatch if the payment is accepted and the terminal will also make a beeping noise to confirm the payment. The Android Pay app on your LG Watch Sport will show all the cards that are saved by you in the app on your phone. To choose the card, you just have to swipe on the watch screen to see the options. You can also make another card your default payment card by selecting the card on the Android Pay app in your watch, after selecting the card tap on the blue bar with a tick mark at the bottom. Similarly, you can delete a card from Android Pay using your smartwatch, just select the card and double swipe up on it, the card will get deleted. Android Pay is an app that provides utmost utility to make card-less payments, but it can also be misused if your device lands in wrong hands. To ensure the security of Android Pay on smartwatches, user can lock it with different kinds of lock options such as PIN, Patterns, and Password. 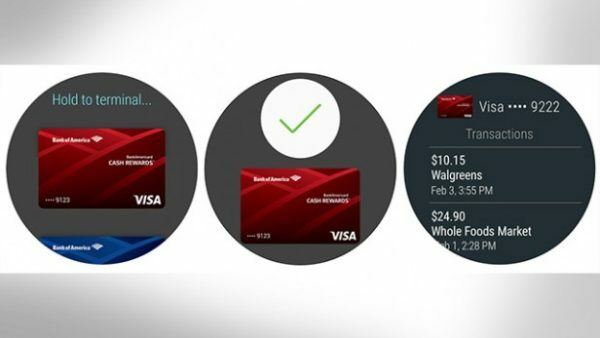 Nope, Android Pay won’t work on your NFC-enabled smartwatch if you pair it up with an iOS device. Of course, Google will eventually render support for Android Pay app on iOS. However, there is no specific timeline for that.